Category Archives: Who are you? Posted by sandra Akuoma in Radio Show Topics, Who are you? Today the finale I will lead you into a journey of self-discovery…. How do you get to know your true self ? Why do I insist on this alone time… so you can spend time reflecting on all your actions and thoughts for the day… always question your actions and most importantly your intentions… Always ask the question “why am I doing this?”… “Was it to please people or someone?” “Did the thought originate from me?” “Do these series of actions resonate with me?”… “Did it go against my values?” “Am I compromising a lot?” And so on… typical example, accepting bribes in your place of work. (where is my cut? ), being a doormat in the name of selfless gesture, selfish acts, lavish weddings, big parties… are you doing it cause you can afford it or just to impress people and then go bankrupt. Finally ask yourself this question “What will I do when no one is watching”? What is our belief system? Big question…. I keep shouting from the rooftops “No one is perfect and no one is expected to be perfect!”. We all have our flaws we are dealing with… sometimes we are so ashamed of it that we hide behind a mask and become so judgemental of ourselves and others… we need to accept ourselves for who we are, its human nature to have flaws, working of your flaws is part of our growing process… Admit them to other people and let them know and you yourself know you are working on them… we are all work in progress..
You may be cranky at times, pessimistic, angry, even antisocial or a little weird. Well, guess what? Fela kuti, Steve job and many more were freaks. (4)What are your passions and talents? Think of the time when you were young. What were you naturally drawn to? When you believe in something or see beauty in something, you should do it no matter what anyone else thinks. If you have found something that is worthy of your best efforts, sacrifice, and tears, then you have found the most important pursuit of your life. Often, that pursuit can lead you to something ultimately fulfilling. Find your values. These are the things that matter most to you on the deepest levels. What are your personal values and standards? What are your priorities and your beliefs? Do you understand why these things are important to you? What level of commitment are you willing to make to your personal standards and ethics? How true do you want to be to your true self? Do you compromise your values in your work place by taking bribes? Are you in a relationship for the wrong reasons? The list is endless only you can answer that question. Shakespeare’s advice …Know your values and never compromise them, even if doing so might lead to short-term gain. Integrity and authenticity go hand in hand. Try to do something every day that you would’ve brushed off as “weird,” “illogical,” or just plain “uncomfortable.” In a nutshell try something new …. Getting out of your zone will not only teach you something, but it will force you to get to know you — what you’re capable of, what you like, what you definitely don’t like, and what you were previously missing. Face your fears if you are scared of heights try bungee jumping, a canopy walk, skydiving etc., new food, talking to that stranger you were not so comfortable with… try going down the rabbit hole it is a world of adventure. Having a mentor or a life coach does help in this journey of getting to know your true self… Though ultimately soul-searching can only be done by you and it’s only you that determines what you need but having a life coach or mentor does help especially when there is conflict, unavoidable bumps on the road… use your life coach as a sounding board try and find someone you trust and you are comfortable with.. Find out how they did it… A good support system is really a key to self-improvement. One of the easiest and most important things we can learn from our dreams is who we are – who we really are. At the centre of most of our dreams, watching, evaluating, performing various activities is our True Self. The many other aspects of our personality appear as other characters in the dream, sometimes as people we know, sometimes as strangers, sometimes as animals, forces of nature, or monsters. we all experience inner conflicts about how we should act and speak, whether we should control our behaviour or live from our impulses, whether we’re really in love or just living a lie. In our dreams we are free to be who we are… out true nature comes out… spend time and notice how you react to events in your dreams and write them down. Accept that some people will think poorly of you no matter what you do. It’s important to forget about what everyone else thinks because you cannot please everyone. And while you might not want to disappoint the people close to you, they should want you to be happy. As long as you continue to exist just to fulfil other people’s ideas of who you should be, you’ll never know who you really are. Do not let others decide for you what you are destined to do. Their path may not be the correct path for you. What works for one person may not work for the next. Don’t lie to yourself and try to be someone you are not. we also discussed the difference between our authentic self and our false self… we discovered our false self is defined by the external things like our job, achievements, status, country, age, religion, ethnicity…. Our authentic self or true essence is the composite of all our skills, talents and wisdom, passion. It is all of the things that are uniquely ours and need expression, rather than what we believe we are supposed to be and do. It is within our core being…. (1)Depression: when you define yourself by your job this is known as “work-role centrality.” It means that work is central to your sense of who you are. People with high “work role centrality” who lose their jobs suffer more. They are more likely to be depressed and anxious and more likely to feel that there is less purpose in their lives. Their identity and purpose seemed to disappear when they lost their job. After the 2009 global recession lots of people lost their homes, business, jobs etc. a lot of people committed suicide, because they had no sense of identity or worth…. (2)Debt: trying to keep up with the Joneses and your status only puts you in debt… For a lot of people, what they buy and what they have is tangled up in their identity. You will do all you can to maintain it, even if it means living way above your means by overspending, borrowing and taking bribe to sustain this ostentatious lifestyle. Unfortunately you end up in debt as a result become bankrupt, loose your business, job because you might be dismissed for taking bribe or stealing from your employer to sponsor your lifestyle … In a nutshell you can end up amassing a mountain of credit card debt or have a penniless and destitute existence in your golden years…. In the long run you are definitely not moving up to a different social class but the funny thing is that while you are busy trying to keep up with the Joneses you are actually doing the opposite…. (making yourself poor and destitute). (3) Co-dependency: When your relationship becomes your identity you put up with all sorts of bad behaviour in your relationship from domestic violence, infidelity. Verbal, sexual abuse and so on… the definition of co-dependency is caring too much for another person who has dysfunctional behaviour at the expense of one’s own self… Caring too much and enabling the other person keeps people in destructive relationships. Co-dependent people normally use their relationship as a source of identification they try to get validation from others and are willing to give themselves away to get it no matter the cost as opposed to those who can know their own self-worth and seek what they need within themselves. It is also known as “relationship addiction” because people with co-dependency often form or maintain relationships that are one-sided, emotionally destructive and/or abusive. Co-dependents often take on a martyr’s role and become “benefactors” to an individual in need. A wife may cover for her abusive husband and so on.. people are scared to leave because they won’t be called Mrs so, so anymore… their identity is in their marriage/relationship… scared of being single… might not be looked on as a respectful person in the community. (4) Masks: we all want to be loved and accepted by others so we wear different mask.. we are most times ashamed of our true self when our true self is a combination of all sorts of good and bad, feelings we love, feelings we don’t love, things we are proud of, things we are embarrassed of. So in order to fit and be accepted or be loved we must only present the good as a result we develop a false self which leads us to develop out of pretences, we do this by wearing different masks and portraying different personalities to fit the various roles we play in life… we wear different mask around our families, our co-workers, our church members our friends… we carefully choose the mask that will gain us approval… putting on mask is an attempt to control our fear of rejection. You feel stifled, choked, and trapped not having to live your authentic self because society has pigeon holed, boxed and labelled you to act and behave a certain way… but because you so badly want to be accepted you rather wear a mask….. Just to be liked… always remember people that made a mark on this earth are people that dared to be true to themselves… They were hated at first even killed, but the funny thing is that they were finally accepted for who they are… example Fella kuti, Jesus, Buddha, Madonna just to mention a few. Lets take it further with our emotions…. “I am depressed” – yes, you are – but, if that depression is not organic, and is driven by some situational circumstance like financial pressures, or grief, or just being generally overwhelmed, then is it depression? or is it a feeling of depression driven by something else – fear, loss, feeling, or actually being, out of control? No matter, you are still a powerful human being who possesses limitless potential who is being consumed by what you are choosing to see as an obstacle, rather than an opportunity. Agreed, sometimes the opportunity is not so obvious, but it is always there. By letting go of our labels as self-definition, and recognizing those labels as a condition of existence within a larger perspective, then we are able to connect with an expanded awareness of ourselves. We are no longer prisoners of self-definition, and, by association victims of it, but we are the keepers of the keys to the universe and all the magic, mystery and potential it holds forth — the same magic, mystery and potential that lives inside each of us and, most importantly, lives inside of you. (6)We become human doings instead of human beings: because we are so focused on having we become human doings…. We wake up in the morning, reach for our cup of coffee, rush around to get the kids ready for school, walk the dog if we have one…, get ourselves ready for work, face the Lagos traffic, and so on. Our awakening hours pass in a flash, and we repeat the routine day after day. As the day goes on, we’re so busy running from one activity to the next that we barely have time to stop and take a breath. More often than not, our focus is on BECOMING or HAVING, not on BEING… our to do list is always a priority… because it is the one that protects our external things which defines our false self…. Breaking the cycle is knowing that our very core is our beingness… connecting with the knowledge of your soul… the I am what I am. In our society external things are held so dear to the heart that we end up selling our soul just to maintain the status quo…. Have you suffered from any of these effects? Posted by sandra Akuoma in Who are you? What defines you? When asked a question what is your reference point of who you are? Are you your job, your status, your age, your country, your roles….. When asked these questions, what is the first thing that comes to you mind…? Does doing define who you are, Are we human beings or human doing? When you meet people the first time, the first question you are asked is ”what do you do?” After the pleasantries of asking your name. This will be a 3 part series in part one , I will explore the difference between our false and authentic self, part 2 will explore the effect of identifying ourselves with the external things and finally how we can truly know our true selves. 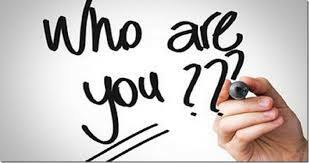 Our job: “Without my job I don’t know who I am,” if that is what comes to your mind each time you introduce or think of yourself… your job or so is your reference point of defining yourself…. Example “I am a teacher,” “I’m a lawyer,” “I’m a construction worker,” “I drive a bus,” or “I am in marketing.” we have placed considerable emphasis on defining ourselves—and our personal self-worth—through our work. This is known as “work-role centrality.” It means that work is central to your sense of who you are. People with high “work role centrality” who lose their jobs suffer more. They are more likely to be depressed and anxious and more likely to feel that there is less purpose in their lives. Their identity and purpose seemed to disappear when they lost their job. What is your authentic self? The authentic self is a state of being is the you that can be found at your absolute core. It is the part of you not defined by your job, function or role. It is the composite of all your skills, talents and wisdom, passion. It is all of the things that are uniquely yours and need expression, rather than what you believe you are supposed to be and do. How do you define your authentic self? (1)Values: Find your values. These are the things that matter most to you on the deepest levels. What are your personal values and standards? What are your priorities and your beliefs? Do you understand why these things are important to you? What level of commitment are you willing to make to your personal standards and ethics? How true do you want to be to your true self? (2) Understand your strengths: What natural abilities do you possess and which ones do you want to cultivate and develop? The strengths you have and those you develop are your personal assets. They give you a unique position in life and you need to be aware of them. This includes your emotional strengths and your ability to express love and appreciation. (3)Know your passions: What are you passionate about? What is it that gets you excited or demands your undivided attention? What activities and pursuits make you feel really alive? You can’t build your life around your passions if you haven’t figured out what they are. Making sure that your passions align with your values and standards is vital when trying to create internal harmony. (4) Creative power/ Your Talents: Your creative powers are those generating ideas and solutions you develop. What are you talents, what is it you love doing, that even if you don’t get paid for the rest of your life, you are still very happy with it. (5) Wisdom… your wisdom.. what wise things have we acquired over time or is deep within us that when faced with decisions, situations, questions, out of nowhere we are able to provide answers that’s comes from within,,,, deep philosophical answers..
like compassion, ability to see the big picture, to put things in perspective, to see things from many points of view, to be able to reflect on and rise above one’s own perspective. Wisdom is different from intelligence. Intelligence seeks knowledge and seeks to eliminate ambiguity. Wisdom on the other hand, resists automatic thinking, seeks to understand ambiguity better, to grasp the deeper meaning of what is known and to understand the limits of knowledge. We’ve all got our own individual appearances – height, weight, body shape, eye colour, hair colour etc. We’ve all got our own values, emotions, strengths and weaknesses. We’ve all got our own gifts. We’ve all got our own challenges, life experiences, roads to travel and purpose. We’ve all got our own reason to be on this planet. We’ve all got our own unique soul. So why do we try so damn hard to be something else? Why do we dye our hair? Why do we hide our emotions? Why do we change ourselves to please others? Why do we try and copy what others are doing? Why do we fight so hard against a path that has been chosen for us? Why do we waste our time in jobs we hate? Why are we not proud of our gifts? Finding your true self, as your ultimate identity, enables you to develop and direct your personality (your interface with the world) so that you can be more yourself and live your full potential and true life purpose. By connecting you with your most fundamental state of being, which transcends the narrow identity of your false -self, your true self also enables you to experience being more at one with life itself, and thus being more connected with others and the planet. Finding your true self is therefore essential for any meaningful self-development, as well as for authentic living in general. In part 2 of this series I will discuss the effects for not living an authentic life….